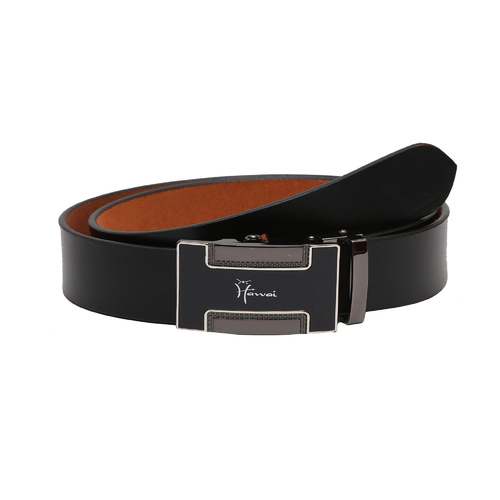 Add a sophisticated touch to your overall appearance by wearing this black coloured belt from Hawai, which is made from Genuine Leather along with Stylish manual buckle, durable enough and a fine quality product for every man. For last several years we are successfully doing export and delivering our best quality products to our esteemed customers through Online (Through our own website & through 3rd party websites like Amazon, Flipkart, Snapdeal) and offline marketplace in India with our own brand name 'HAWAI' and 'ADONE'. Our 'Hawai' branded products are selling in Germany, Netherlands, Peru, Australia, USA through Offline and Online marketplace with the same reputation. We are providing OEM/ODM services for many world famous brands.